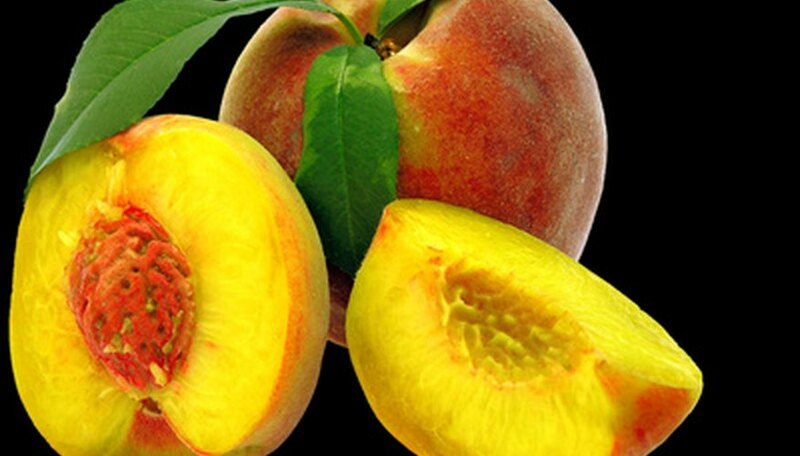 Planting a peach tree from seed is simpler than you might think. Granted, you cannot just poke the seed into the soil and watch a tree grow in a few weeks, but if you follow the directions, it will amaze you how simple it is to grow a peach tree. Once you understand the steps involved, you will be able to grow your own trees from the actual fruit you eat. Rinse your seed and carefully crack open the outer woody hull. Inside, the almond-looking nut is the seed you want to grow. Wrap it in a damp paper towel and place it in a sealed plastic bag in the back of your refrigerator vegetable drawer. Let it sit for 3 months. Remove it and plant it 2 inches deep in a regular plant pot filled with potting soil. Place it in a sunny and warm window and water every few days. Once the seedling has grown about 6 inches high, you can plant it outside in a protected area. Crack open the peach pit but do not remove the woody hull. Leave it as a protective barrier for your peach seed inside. Dig a hole about 2 inches deep in a sunny spot in your yard in the early fall. Bury the seed and tamp the soil down around the seed. Water it well and mark the spot so you can remember where you planted it. If no rodents find it, you should see a sprout emerge in the early spring. Open your peach seed pit and remove the inner seed. Plant it two inches deep in regular potting soil in an 8- to 10-inch plant pot. Water it well, then wrap it in a plastic bag. Place the whole thing outside in a garage or shed where it will be subjected to the cold winter temperatures without the dangers or being found by wildlife. When the spring comes and temperatures rise, your seed should sprout and you can plant it outside.